Background: According to the data of the Ministry of Health of Indonesia in 2001, the prevalence of dental and oral caries patients is 60% of Indonesia's population, and 71.8% of the population does not treat or seek treatment when they have dental caries. This is evidenced by data released by the National Health Survey in 2004; only 38% of the population came to the health center and only 4.9% presented to the governmental hospital. From the preliminary research, the data obtained including the level of knowledge about good dental health, motivation for high dental caries care, high dental caries care services, good perception about dental caries care, and felt need for high dental caries treatment did not guarantee that a person had good oral health. Aims: The study aim lies in identifying the correlation of dental health communication with the picture of the felt need of dental caries care so that dental health services given to the society become effective and efficient. Settings and Design: This was an observational analytic study. Subjects and Methods: Ninety-six respondents were grouped into six groups. Primary data collection was made by performing oral and dental examinations using Oral Hygiene Index and Decay Missing Filling index and questionnaire. Statistical Analysis Used: The data obtained were analyzed using Spearman's correlation test. Results: Knowledge of dental caries, perception of dental caries impact on oral function, motivation of dental caries treatment, and felt need had significant relation to social class strata. There was no significant relationship between communication and felt need of dental caries treatment. Conclusions: There was a significant relationship between dental health communication with a picture of felt need of dental caries treatment. Well-created communication will give good felt need as well. Aims: The purpose of this study was to identify the description of dental caries and oral hygiene of drug users. Subjects and Methods: This descriptive study has 60 participants. 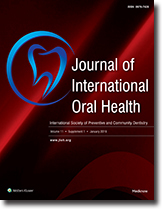 Oral hygiene index-S (OHI-S) and caries severity with decay-missing-filling-T (DMF-T) index were performed. Subjective data collection on the knowledge and behavior of drug users was obtained from the results of questionnaires filled by respondents. Results: OHI-S of respondents was 1.8 and mean of DMF-T was 4.33, which means that the condition of dental and oral hygiene of the respondents was still not good. The mean results of OHI-S score for drug users <10 years of consumption was 1.03, those who consumed for 10–20 years was 2.06, and those who consumed over 20 years was 2.85. DMF-T of <10 years of drug users had mean DMF-T of 1.5, those who consumed drugs between 10 and 20 years was 2.6, and those who consumed over 20 years of 7.9. Conclusions: Overall, most drug users had good oral hygiene and above mean caries severity. Aims and Objective: Pregnant women become groups that need special attention with regard to their oral health and the health of their baby candidates. Gingivitis is very common in pregnant women due to increased estrogen and progesterone hormones. Surabaya Public Health Centre recorded incidence of periodontal disease in pregnant women between September and October 2017, that is, 42.8%. From epidemiological research conducted, the primary data collected and problem priority listed to get the risk factor causing gingivitis with tartar caused one of them by lack of facility and infrastructure of pregnant woman to know about the importance of visit to dental health service. Subjects and Methods: This descriptive-analytical study conducted with 31 participants, with pre- and posttest design. The type of program evaluation we use in this empowerment program is the type of outcome evaluation. Evaluation of the results was conducted to measure whether pregnant mothers have already understood the material on educational banner media. Results: There is score increase between pre- and posttest. Total score on pretest of 220 is as much as 44% while the total score of posttest is 460, that is, as much as 92%. This indicates an increase in the number of questions answered correctly by 52%. Conclusions: Educational banner can improve the understanding of pregnant women about the importance of visits to the dentist. Context: Based on the results of preliminary observations to 110 mothers in subdistrict area in Trawas, the average value of Decayed, Missing and Filled Teeth (DMF-T) was 7.37. One of the factors causing the number of dental caries is the wrong toothbrushing habits, including how and when to brush teeth. The mothers, by their wrong brushing way, had a percentage of above average (7.37) DMF-T, higher than those who brushed teeth in the right way. Aims: This empowerment program aimed to make mothers of this subdistrict area are able to explain in a proper brushing time and demonstrate how to brush the teeth properly. Materials and Methods: This descriptive-analytical study conducted with 75 respondents of mothers aged 20–50 years. The program contains of dental health education counseling, demonstration, and evaluation with pretest-posttest study design. The statistical analysis for this study using SPSS 17 (Statistical Package for the Social Sciences) software (SPSS Inc., Chicago, Illinois). Results: This program ran smoothly, as evidenced by the enthusiasm of participants in each session of the program. It can be seen with the quality of questions raised by mothers, and program evaluation of questions posed was successfully answered by mothers who had previously done the empowerment. Moreover, the increased score of posttest, compared to the pretest result. Conclusions: This program is effective to elevating the dental and oral health knowledge of mothers in the subdistrict area. Aims: The aim of the study is to actuating willingness and ability to maintain and improve dental health in people living with HIV/AIDS (PLHIV) community. Subjects and Methods: Problem finding is intervened through group approach method and using supporting media in the form of book and audiovisual. The intervention targets consisted of primary groups (PLHIV-assisted group) and secondary (visitors of public health center, junior and senior high school students) as supportive of promotive and preventive efforts. The statistical analysis for this study was done using SPSS 17 (Statistical Package for the Social Sciences) software (SPSS Inc., Chicago, Illinois). Results: This program was followed by respondents covering PLHIV group, junior and High school students that are selected as a cadrees and visitors of public health centre. There is enhancement of knowledge and skills in maintaining oral hygiene after intervention with an average before intervention of 55.33% increased to 86.67%. Conclusions: The empowerment program produces good results seen from the respondents have been able to explain and practice how to brush teeth properly and correctly after some intervention programs. 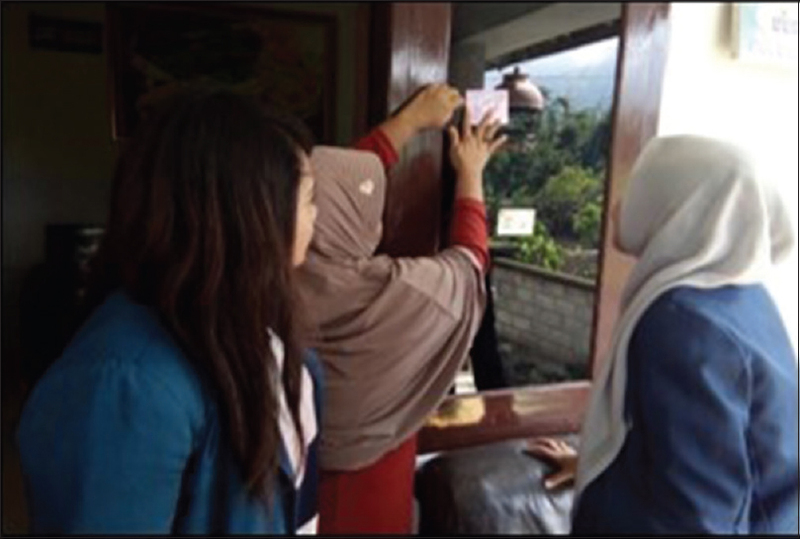 Aims: Based on the results of preliminary observations on 100 mothers in Claket, Pacet, Mojokerto, it was obtained that there is a significant association between oral hygiene with caries rate. Of the 48 participants with poor oral hygiene index (1.3–6), 26 participants (54.2%) had caries rate that exceeded the average of the population (decay, missing, or filling on permanent teeth index ≥8.29). This shows that participants with poor oral hygiene tend to have high levels of caries. Providing knowledge to participants about the benefits of strawberries for oral health, especially as food, that can help the process of self-cleansing and improving oral hygiene as well as how to cultivate strawberries. Subjects and Methods: The formal approach was done through cadres of Claket village, while nonformal approach was done by building interpersonal closeness to participants who took active roles in the activities. The statistical analysis for this study was done using SPSS 17 (Statistical Package for the Social Sciences) software (SPSS Inc., Chicago, Illinois). Results: There were 38 mothers who participated in this program. A group of cadres was formed for the program, namely Laskar Pelangi, consisting of four people. The cadres received 30 strawberry seeds to be distributed to the other participants and a booklet, in which one of the contained information is about strawberry plants and the means of cultivation. Conclusions: The program went well, as evidenced by the enthusiasm of the participants and cadres in each stage of the program. It can be seen from many questions from the mothers and the results in which the mothers managed to understand how to cultivate strawberries. Aims: This empowerment aimed to provide knowledge about systemic disease correlation with oral and dental health to the cadres to convey information to the elderly group. Subjects and Methods: The method used in the community empowerment program in this elderly group was the method of counseling with lectures. Evaluation of the participants was conducted after counseling. The evaluation method was done by filling out the questionnaire and observation. Observations were made to the cadres by assessing the cadres in presenting the extension content to the extension workers. Further evaluation was done when the cadres socialized the materials independently in an elderly nursing home. Statistical analysis was carried out using SPSS 17 software (SPSS Inc., Chicago, Illinois). Results: There was an increase in posttest average compared with pretest. The mean cadre pretest result was 45.55%, the mean posttest result was 77.55%, and the mean of cadre observation result to relay extension material was 84.52%. Conclusions: The elderly understood the signs of systemic disease (diabetes mellitus, hypertension, and coronary heart) in the oral cavity through counseling of elderly cadres. Aims: This study aimed to enhancing the oral and dental health service in the community. Subjects and Methods: The program is targeted for the mothers and female teachers of the primary school students in Surabaya. This study uses the total sampling method. Pretest was conducted for the mothers and female teachers of the 1st–2nd grade students at a primary school, Surabaya. It was then followed by a demonstration of caries prediction software in order to increase the participants' awareness of the impact of dental caries. After the counseling session, the knowledge of the participants was evaluated. This was carried out through a posttest. The participants were also given certificates as a form of appreciation. Statistical analysis was done using SPSS V.017 software. Results: Subsequent to the empowerment program, the knowledge of the program participants increased, as seen from the comparison between the scores in pre- and post-tests. Conclusions: The program Local Myth and Facts Approach Apps can serve as an educational means regarding oral and dental health for the parents and teachers of students. Aim and Objectives: The aim of the study is to analyze the adhesion activity to monocytes against Streptococcus mutans with exposure steeping robusta coffee beans in vitro. Materials and Methods: Peripheral blood sampling of healthy people 6 cc added anticoagulants. Peripheral blood sampling of healthy people 6 cc added anticoagulants and Ficoll-Hypaque, then centrifugation and suspended in medium Roswell Park Memorial Institute (RPMI) 1640. The cells were placed in 96-well microtiter plate 8 × 105 cells/well for 45 min at 37°C and washed 4 times with the medium. Attached is a monocyte. Furthermore, the isolate of monocytes and treated with the appropriate group. The control group – monocytes untreated; S. mutans group – monocytes + S. mutans; coffee group 2.5% – steeping coffee beans 2.5% + S. mutans; coffee group 5% – steeping coffee beans 5% + S. mutans; and coffee group 10% – steeping the coffee beans 10% + S. mutans. 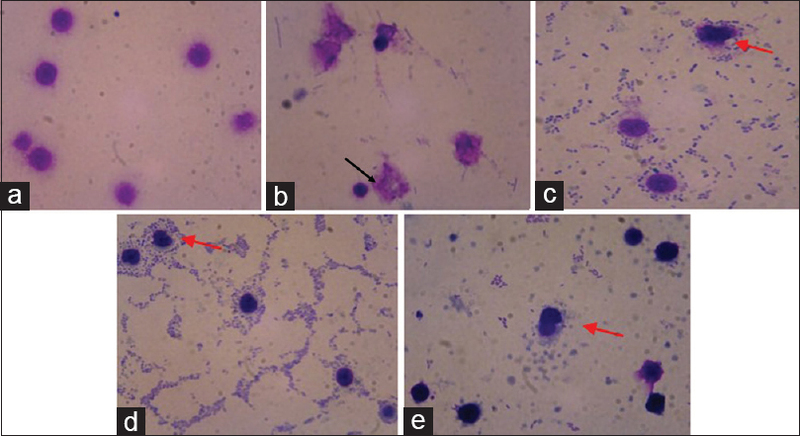 After incubated 24 h, fixed with methanol, performed Giemsa staining, and analyzed adhesion activity of under a light microscope With magnification 400 × on to 100 monocytes. Data were analyzed using analysis of variance (ANOVA) followed by least significant difference (LSD) test. Results: There were significant differences between the study groups. Steeping robusta coffee beans improve adhesion S. mutans in monocyte cells, while the largest adhesion at a concentration of 5%. Conclusions: Certain concentrations of steeping robusta coffee beans consumption increase adhesion activity to S. mutans. Aims and Objective: The aim of this study was to examine the caries level among elementary school students in Balongsari's working area. Materials and Methods: This observational descriptive study was done to find out risk factors for caries in this population. Data were derived from the surveys on 2nd and 3rd graders among elementary students in Balongsari's working area. Through simple random sampling, six elementary schools were selected among 13 elementary schools. Among 1171 students, 110 students were recruited. There was a questionnaire for each student which was based on the World Health Organization standard. Data were collected from these students by interviewing them directly. Caries level was measured by Decayed, Missing, and Filled Teeth index which was an accumulation between Decayed, Missing, and Filled score and decayed, missing, and filled score. Statistical analysis was carried out using SPSS 17. Results: The risk factors that could be associated with caries based on this survey are grades, knowledge of oral and dental health, toothache experience, frequency of toothbrushing, and participant visitation to oral and dental health facility or dentist. Conclusions: The risk factors that could be associated with caries based on our survey are grades, knowledge of oral and dental health, toothache experience, participant not satisfied with the appearance of his/her teeth, participant avoid smiling and laughing because of his/her teeth, and subject was made fun by his/her friends. Aims and Objective: This study aimed to identify the risk factors of dental caries severity in elementary school-aged children, as well as the tendency of their effects on body mass index (BMI). Materials and Methods: This was a descriptive observational study with cross-sectional approach, conducted at national elementary school in Keputih Health Center. The population in this study was all students who attended national elementary school in Keputih Health Center (120 students). 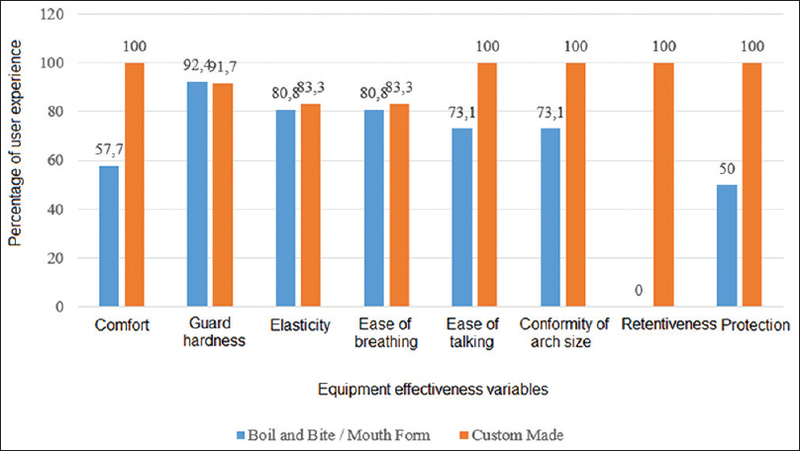 Measurement of caries severity was done using decay, missing, filled-teeth index (DMFT) and WHO questionnaire, while BMI assessment was done by measuring body weight and height and BMI questionnaires that had been tested for validation and reliability. Results: In this study, respondents who experienced caries were 89.5% and the mean DMFT value was 5.42. Respondents who had abnormal BMI value were 73.6%, while 26.4% had normal BMI values. Conclusions: The severity of dental caries, when specified by BMI and its risk factors, showed that group of subjects with a total amount of DMF >5 was dominated by BMI in the underweight category.